It is essential that Rogan Corporation provide the highest possible value to its customers through the on-time delivery of superior quality components at fair market prices. Additionally, through the diligent use of product innovation, continuous improvement, and sound technical and logistical support, Rogan will help each customer achieve profitable success throughout the life of their end products. Rogan realizes that providing high value to our customers will not only help bring market and financial strength to those customers, but it will do the same for Rogan and our suppliers. In turn, market and financial strength becomes the cornerstone for providing security and opportunity for the employees and the communities of all involved in the supply chain. 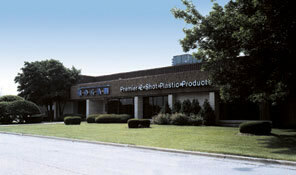 For more information on our hand hardware, custom molding capabilities, or the history of Rogan Corporation please visit us at www.rogancorp.com.